Not sure "how old".. because this engine's parts-traceability was lost.. but it's made-up of the "earliest" major-parts that were in my inventory. 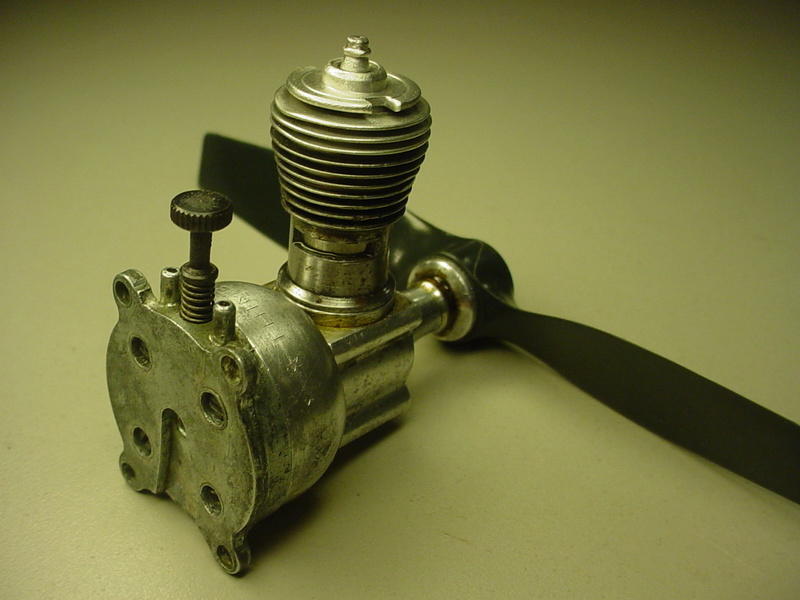 This engine was rebuilt for use with a control-line model airplane. 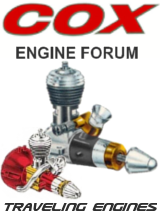 The fuel-line/pick-up and venturi-gasket are not OEM. 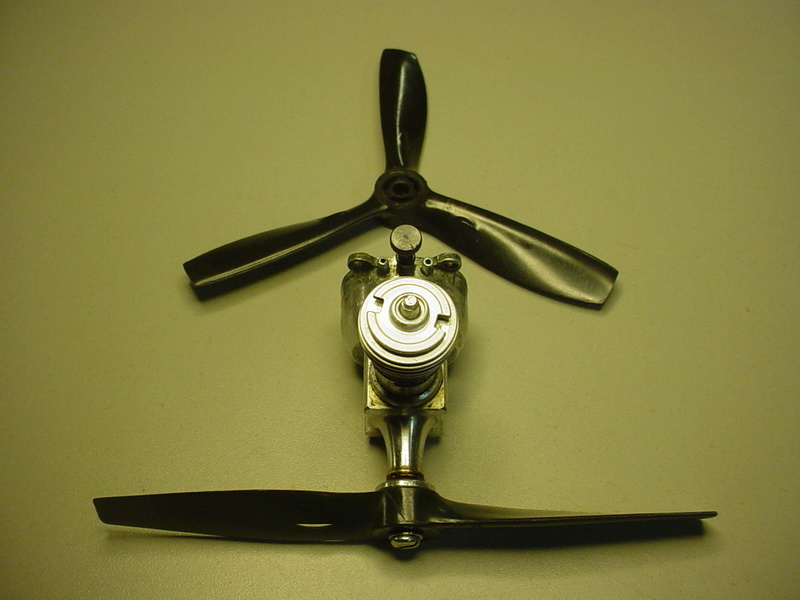 Cox/Thimble-Drome 5"D X 3"P propellers shown. Re: an old Babe Bee..
Looks good roddie. I'm sure she'll run as good as she looks. Now, if I may ask you what you use to make your venturi gaskets. I had used small fuel tubing, but like the looks of yours as it appears to me that yours are 'punched' out from a sheet of something. 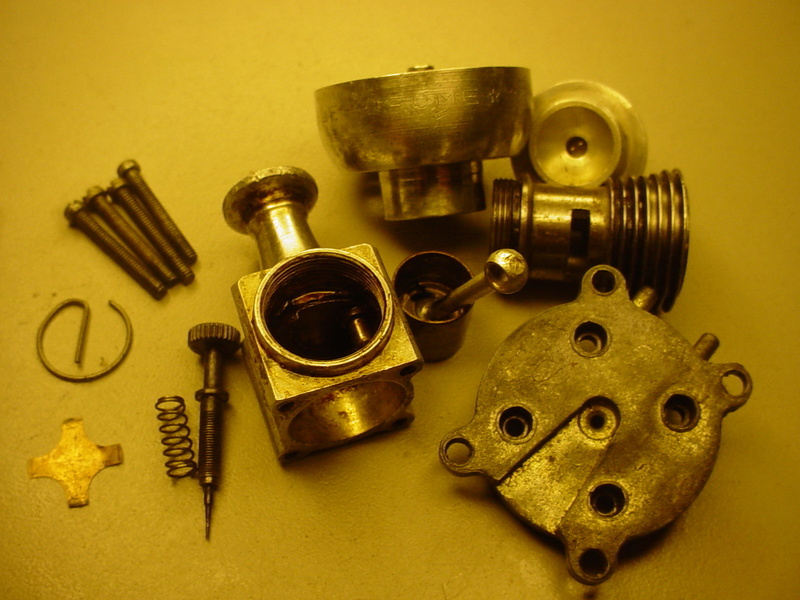 I too, seem to recall seeing your gaskets and methods before. I will try a search too. Thank you. Ok. Just found it. SCissor type hole punches and heavy cardstock. Nice job, Roddie. It must be Babe Bee month or something. I've been working on a handful of them myself. No immediate plans to use them, just couldn't stand to see them lying there all corroded up. NEW222 wrote: Ok. Just found it. 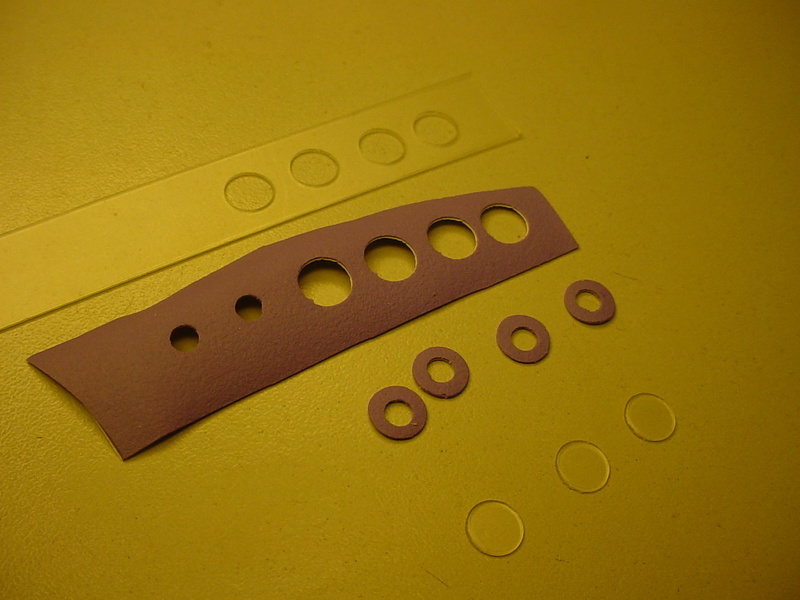 SCissor type hole punches and heavy cardstock. I've found that the distance can vary quite a lot from one tank to another and one therefore needs to have some "give" or "compressibility" in the gasket? 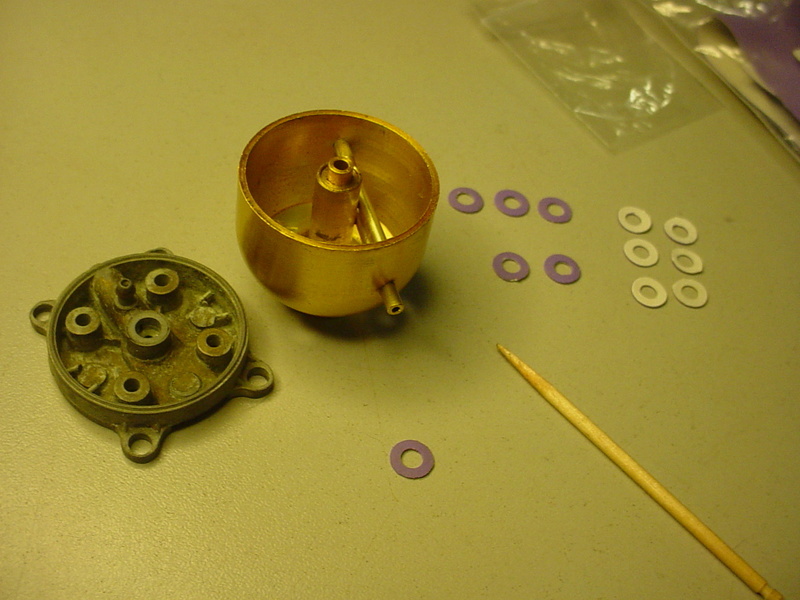 This venturi gasket shown is made from the thin rubber-gloves (Playtex Living brand) used in kitchen-cleaning etc. When a glove wears-out; I cut a piece out of the cuff. The material is "spongy".. so yes; it will compress. 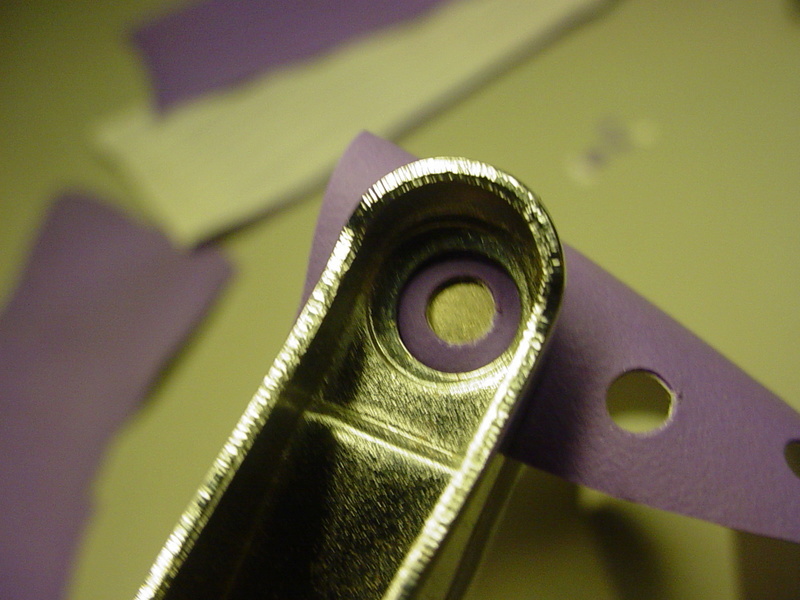 A 1/8" hole-punch is used first.. then a standard 1/4" "plier-type" hole-punch is used with a thin plastic "backer-sheet" to punch-out the finished part. The plastic backer-sheet is required to get a clean-cut 1/4" dia. finish-cut. Great idea! I need to find a 1/8" hole punch. I haven't had good luck with the stock o-rings sold by Cox. Inconsistent seal. Even have to double up sometimes. I isually resort to slicing them from fuel tubing but getting the thickness just right for each tank is sometimes hit and miss. I'm always looking for new and better ways to try out. Thanks for sharing. Tee Bee wrote: Great idea! I need to find a 1/8" hole punch. I haven't had good luck with the stock o-rings sold by Cox. Inconsistent seal. Even have to double up sometimes. I isually resort to slicing them from fuel tubing but getting the thickness just right for each tank is sometimes hit and miss. I'm always looking for new and better ways to try out. Thanks for sharing. 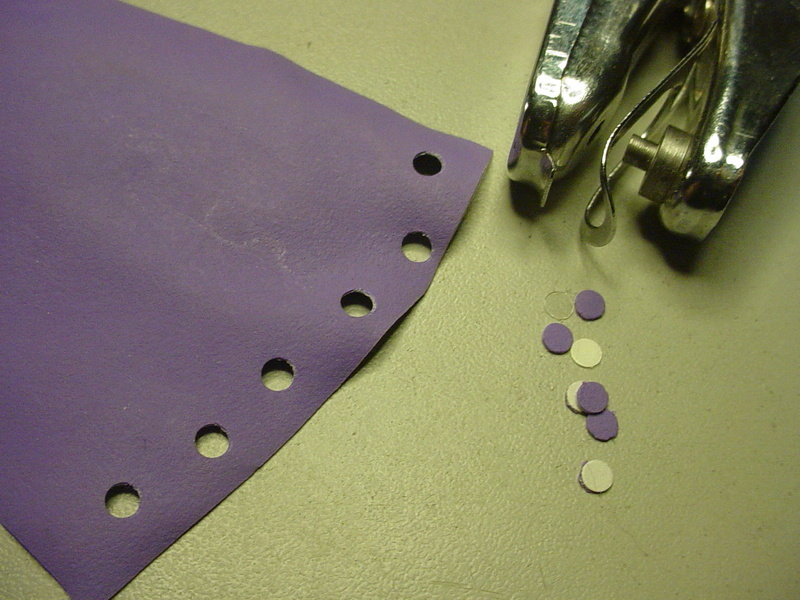 Hi Troy, I found my 1/8" hole-punch at a craft-store.. but all you really need is a short (1") length of 1/8" OD steel rod and a small hardwood block to punch the inner-hole. 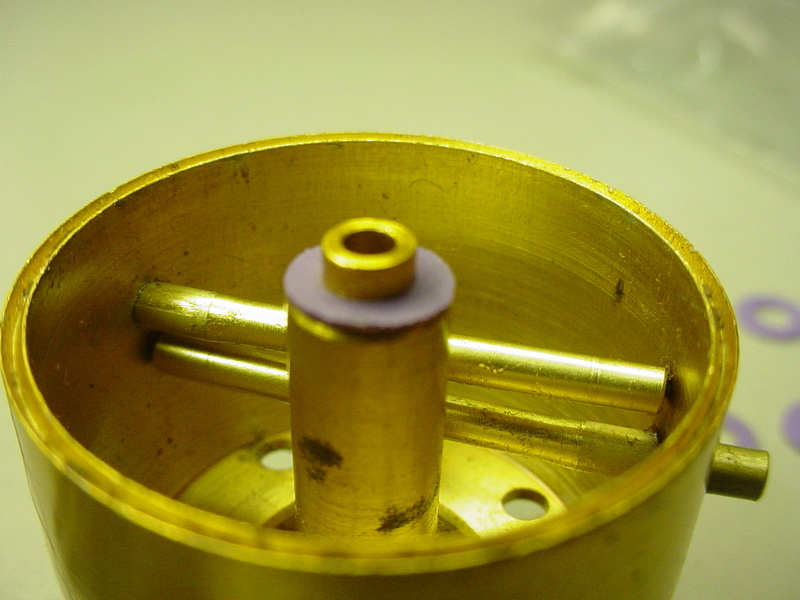 A piece of 1/8" OD hard alloy-tube would also work. 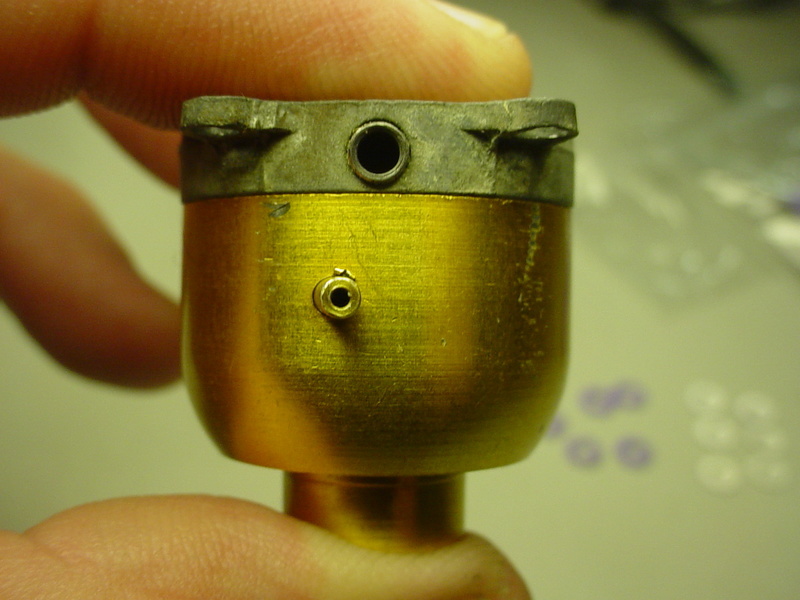 The actual OD of the Bee's venturi-tube inside the fuel-tank where the gasket installs is 9/64" (.1406"/3.57mm). 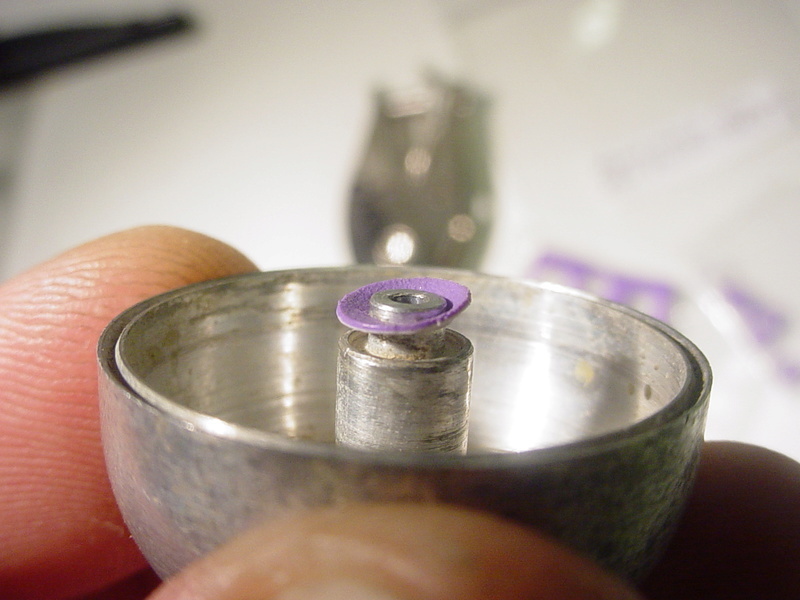 The smaller 1/8" ID gasket-hole provides a stretch-fit.. which could have an additional sealing benefit over the OEM gasket-design. 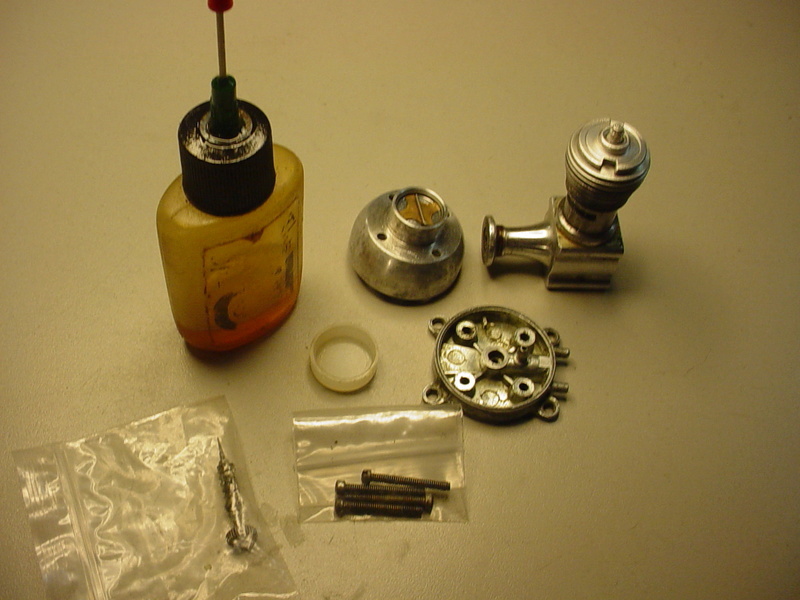 When I assembled this engine's tank; it required only a slight pinch to seat the venturi-gasket.. before the backplate contacted the fuel-tank bowl. 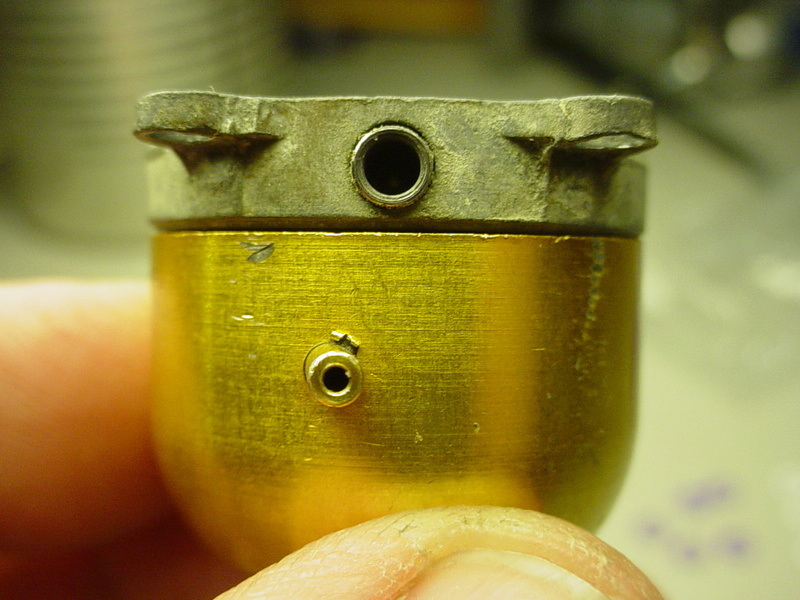 Here's an example of the seal's "gap" on a different tank assembly.. There's a slight gap when the tank-assembly is set in-place.. 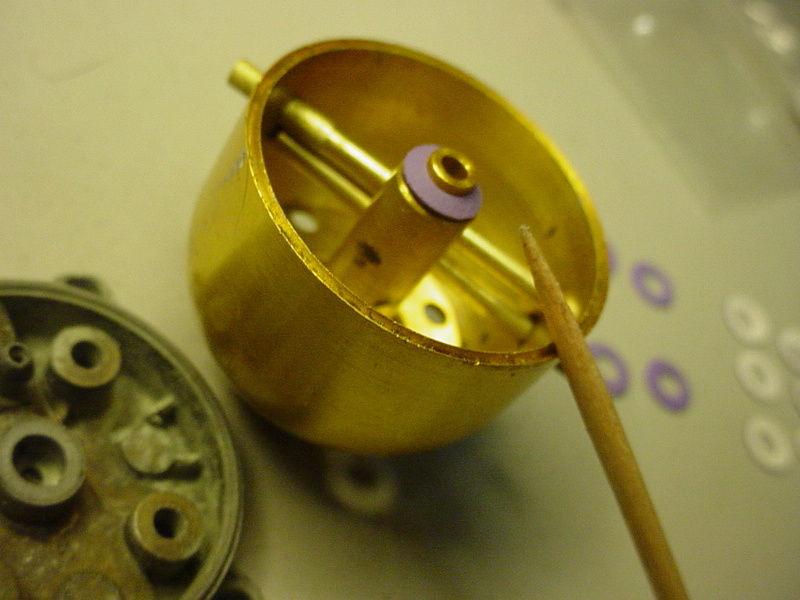 The gap closes when the tank-assembly is lightly pinched-together. One could double-up on the gaskets. A tight-pinch will close the tank-assembly gap.. but I doubt it would be necessary. 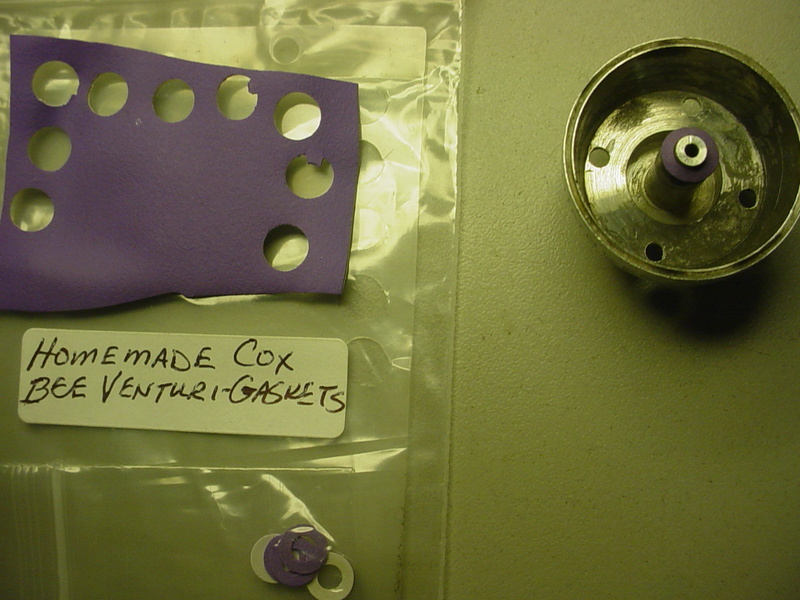 I don't know how this experimental venturi-gasket material will perform or hold-up over time.. but it's always worth having back-up gaskets in your parts-bin. That looks like great idea! roddie wrote: One could double-up on the gaskets. A tight-pinch will close the tank-assembly gap.. but I doubt it would be necessary. Thank you again. This thread has been another good learning thread. Also, as for how this experimental material will hold up? The price is right and if only for a season, the gaskets are cheap enough to reproduce, or like you, make a bunch of them in one sitting. Thanks for sharing and the updated pictures. 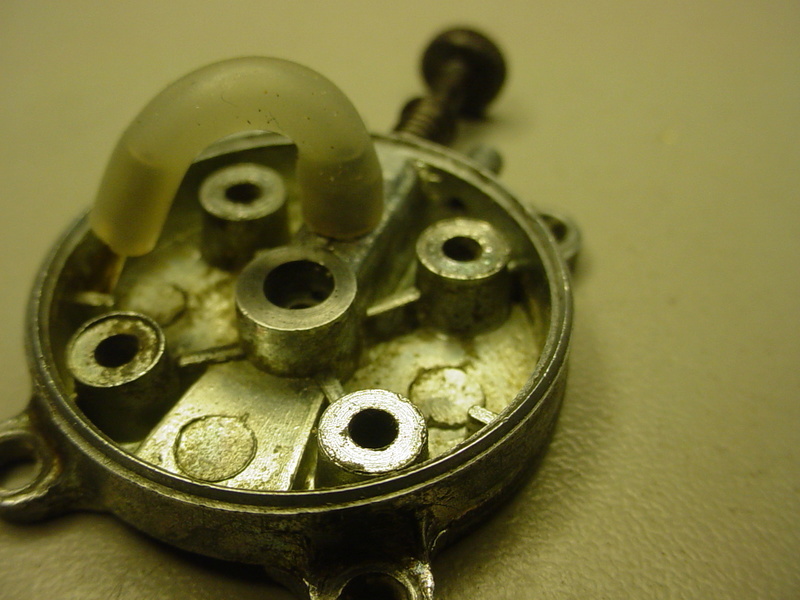 Not sure why it fails to get passed along, Mark B mentioned Dart O-rings a few years ago. 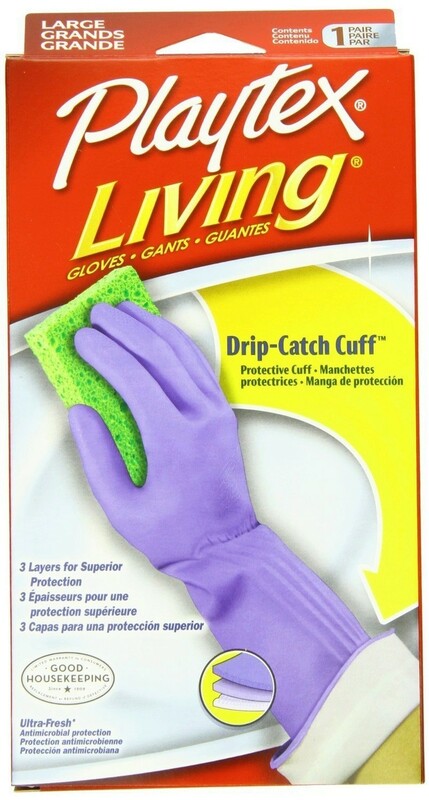 They come in a package of 100 or so, cost less than $2. 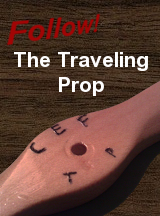 No need to fabricate anything and one package will last you a lifetime. Perfect seal every time. Another interesting alternative. Thanks! Ordered a 50-count pack of dart o-rings from the bay to try out. a few years ago, and never looked back. Thanks again for that Mark. The dart O-rings sound really COOL.. although I don't have any experience with them. 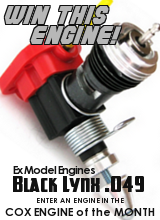 There's definitely a lot to be said for a "no fuss" solution to getting an engine to run reliably. 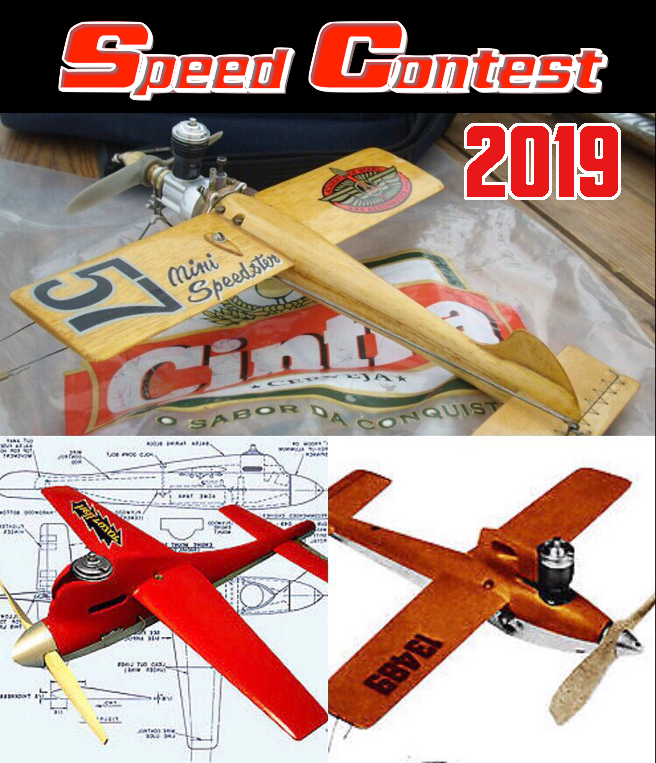 I remain a "tinkerer" experimenting with materials that can be found around the house/garage in a "pinch"; especially on a weekend where the weather's perfect.. and your engine is sucking air from where it shouldn't.